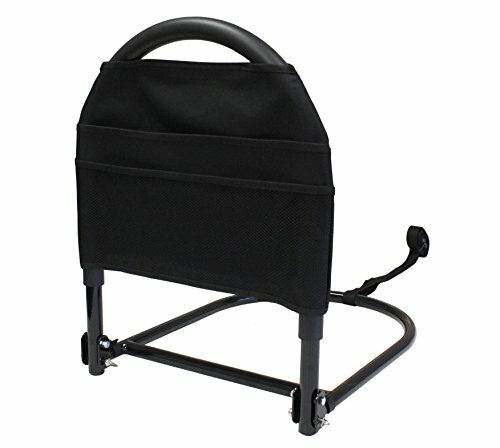 Size: 22h x 17w x 2"
Portable - folds down as a travel rail. Non-slip cushion support handle to get out of bed easy. Comfortable & sanitary handle. Reversible - fits on either side of bed. Weight capacity: 400 Lbs. as the topic to avoid inadvertently opening a case. - Fits most regular and adjustable beds with mattress heights of 10"-16"
Size 22h x 17w x 2"